The Dáil deputy described what led up to him not receiving penalty points or a fine though he was caught by gardaí driving while on a mobile phone on two occasions. TD Luke Ming Flanagan leaving the Supreme Court in Dublin today. 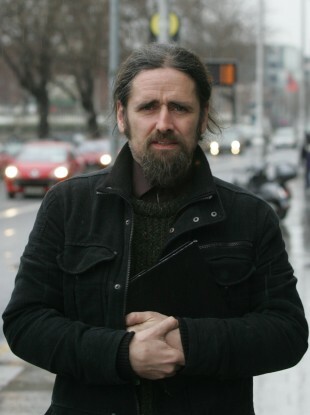 DEPUTY LUKE ‘MING’ Flanagan has told the Dáil that he is to appeal for fines and points due to him for driving while using a mobile phone on two occasions. He said this evening that on June 3 he was in his car travelling to a Dáil meeting when he was stopped by a garda car. He had been using his phone and was told that he would receive a fine because of this. He said he thanked the garda for doing his job well, and told him that his actions may have saved his life. Flanagan said that he received a fixed penalty notice in the post. A few days later he met a garda sergeant who said he had heard what happened, and told Flanagan he was covered under a rule regarding travelling to the Dáil. Flanagan said the Sergeant insisted he write to the station and explain. The deputy did so and did not receive any points on his licence. Flanagan did not name the Sergeant in the Dáil. On another occasion on the way to a council meeting in Roscommon, he was stopped by gardaí and told he was going to get a fixed penalty notice as he was using a mobile phone again. Flanagan said he told a senior council official what had happened, and later that evening was contacted by this person, who said he had ‘sorted out my penalty points issue for me’. He has not received any points in relation to that case. Not only is there a cohort of gardaí who are going around asking people do they want penalty points cancelled, it appears there is a franchise system going on whereby if you are cosy with the senior garda then you too can have people’s offences quashed. He said that the Garda Commissioner Martin Callinan and Minister Alan Shatter may not believe this is true, with the commissioner saying “that there is no question of what has been described as a culture of non-enforcement of penalties being tolerated by an Garda Síochana”. How can you explain my experience then? I did not ask the garda sergeant in question to get involved, but he insisted he should. I do not believe it was an attempt to trip me up, I believe it is a culture that has festered for years, all the garda was doing was what he had learned along the way. Flanagan said he did not release the information before the press released it, as he believed it was illegal for the gardaí to release such information, and he intended to release it on publication of Minister Shatter’s internal review. He said this was to show there is systematic abuse, which he believed the report would “whitewash” over. He said he has contacted the fines office in Clare and asked how can he get his points and fines back. Deputy Flanagan also called on the reported 15 members of the Dáil and Seanad who are said to have had penalty points removed “to come out and tell us were they approached by the garda or did they go in proactive way go to see could they have their points removed”. Email “Ming: I want my penalty points back”. Feedback on “Ming: I want my penalty points back”.